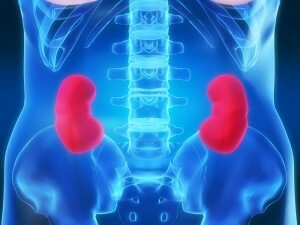 Roughly 50,000 Americans are diagnosed with kidney cancer per year. Most of these cancers are small tumours (small renal masses) that are often found during screening for other problems. Because of this, there are more surgeries scheduled to remove them. These surgeries can be difficult because of the location of the tumours if they are on the posterior side of the kidney, and because patients who have had previous abdominal surgery can have scar tissue that disrupts identification of normal anatomy. Now researchers from UCLA’s Jonsson Comprehensive Cancer Center led by Dr. Jim Hu have shown that using a novel surgical technique called robot-assisted retroperitoneoscopic partial nephrectomy (RARPN), which provides an ideal approach in the setting of posterior renal masses or prior abdominal surgery. RARPN is a type of minimally invasive laparoscopic surgery in which the operation is done with precise robotic arms and magnified, high-definition 3-D cameras controlled by the surgeon. Currently, many surgical centres use a technique called thermal ablation, which involves using a heat-producing probe, to eliminate small renal masses when they are difficult to reach. However, this technique is associated with an eight times higher need for CT scanning after surgery to keep watch on the tumors’ possible return, and greater frequency of CT scans resulting in more radiation exposure. Another important finding of the 227-patient study was that there was significant variance between different surgeons in the amount of time the main blood supply to the kidney (renal artery) was blocked off during surgery. This time is called the warm ischemia time (WIT), which differed up to five minutes depending on the surgeon, even though all the surgeons in the study were fellowship-trained, high-volume surgeons at tertiary referral centres. However, greater surgeon experience was associated with shorter WIT. This is relevant, as longer WITs are associated with increased complications, such as acute kidney failure and long-term chronic kidney disease. There were also significant differences in complications between surgeons, with a three-fold difference between the surgeon with the fewest compared to the most complications. However, major complications were relatively uncommon, with only three blood transfusions. Finally, less than one percent of patients experienced cancer recurrence during follow-up. The RARPN study, published online in European Urology, was the largest multicenter study to date on this technique. The five-year study included patients who were 60 years-old on average. In addition to UCLA, participating centers included the University of Michigan and Swedish Medical Center in Seattle, WA.